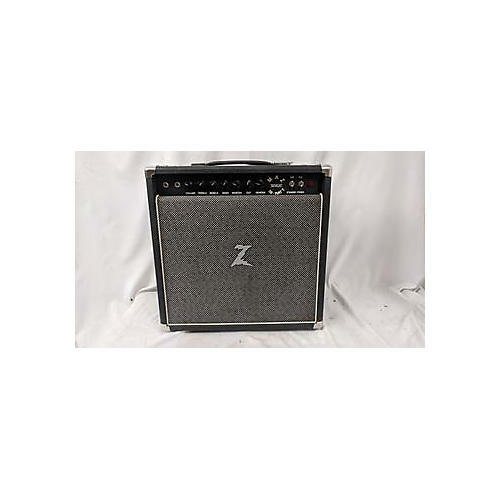 The Dr. Z Maz 38 Sr. allows the user to achieve a variety of tones to suit their playing style. This EL84 driven amp has the capabilities of dialing in a mid-60s blackface sound as well as a UK mid-range bark. The front panel features volume, treble, mid, bass, reverb, cut, and master controls. The back panel features 4, 8, and 16 ohm speaker out. Also features an effects loop and an EQ bypass. This amp is equipped with 38 watts of power driven by four EL84s in the power amp, four 12AX7s in the preamp, and a GZ34 rectifier..